We started another year of celebrating our kids’ birthdays. We celebrated our daughter Lisa’s birthday this past weekend. BBQ ribs were requested for her birthday dinner. She loves going to a restaurant called the Texas Roadhouse, she has told me that they have the best food. Some of you that live in the states may have heard of this restaurant, it looks like they are located in most states. One of the things on the menu that she loves is their rolls and honey butter. She didn’t request these for her meal, but I thought I would surprise her and make them along with the ribs. I was anxious to make the rolls since she had mentioned that they were so good, plus the fact that I love making bread. 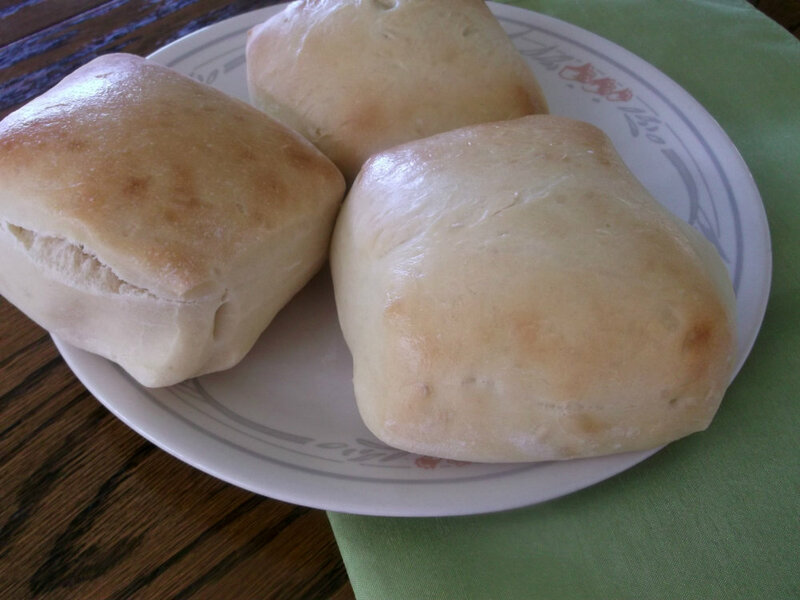 These rolls are super simple to make, which is always a good thing. You don’t have to form each roll; you simply roll the dough out into a rectangle and cut them into squares. They were super fluffy and light, definitely on the list to make again. And as for the honey butter, it was perfect on the rolls. It was definitely a keeper also. Dissolve yeast in warm water with a teaspoon of sugar, let stand until frothy. Combine yeast mixture, milk, 1/2 cup sugar and enough flour to make a medium batter (about the consistency of pancake batter). Beat thoroughly. Add melted butter, eggs, and salt. Beat well. Add enough flour to form a soft dough, kneading the dough for until smooth and satiny. Grease the bottom of the bowl and turn dough over to coat both sides. Cover and let rise in a warm place until double in bulk. Punch down. Turn out onto a greased surface. Roll out dough int a rectangle, about 1/2 inch thick, then fold the rectangle in half, making it about 1 inch thick. Seal the ends to keep the dough together. Using a pizza cutter and cut the rolls into squares, place the rolls on to greased baking sheet. I had about 19 big rolls, but you can cut them into the size the you prefer. Let the rolls rise until double and bake in a 350 degree F preheated oven. 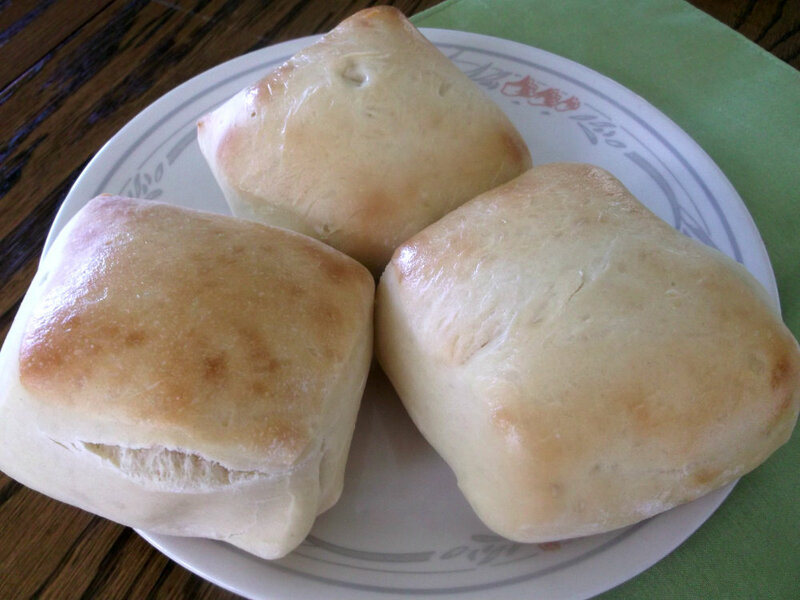 Bake rolls until lightly golden brown about 15 to 17 minutes. Remove from oven and baste rolls with butter. Serve with honey butter, recipe follows. Whisk butter for approximately 30 seconds until lightly whipped. Add the sugar, honey, and cinnamon beat with electric mixer until smooth and thoroughly combined, scraping down the sides of the bowl while mixing. Continue beating on medium-high speed until light and fluffy, about 2 to 3 minutes. 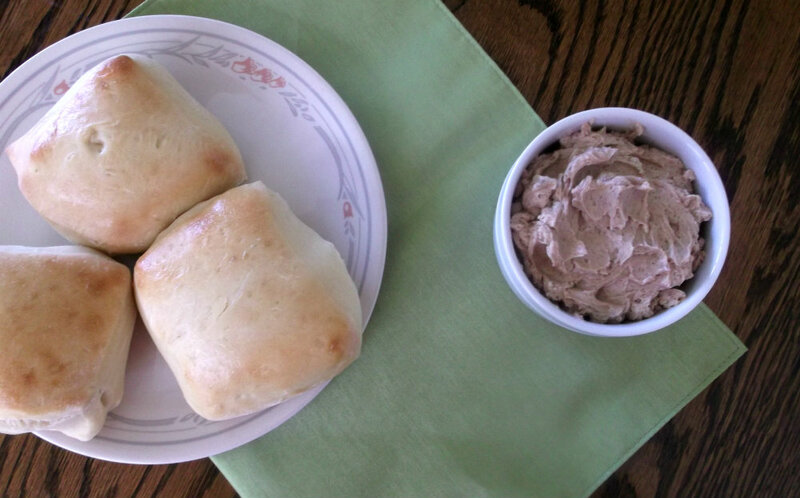 There is nothing better than homemade rolls… except for homemade rolls slathered with honey butter. YUM! I’ll never turn down a homemade roll! These look wonderful – great job. Thanks for this. Honey butter sounds so good. Homemede rolls are always delicious.